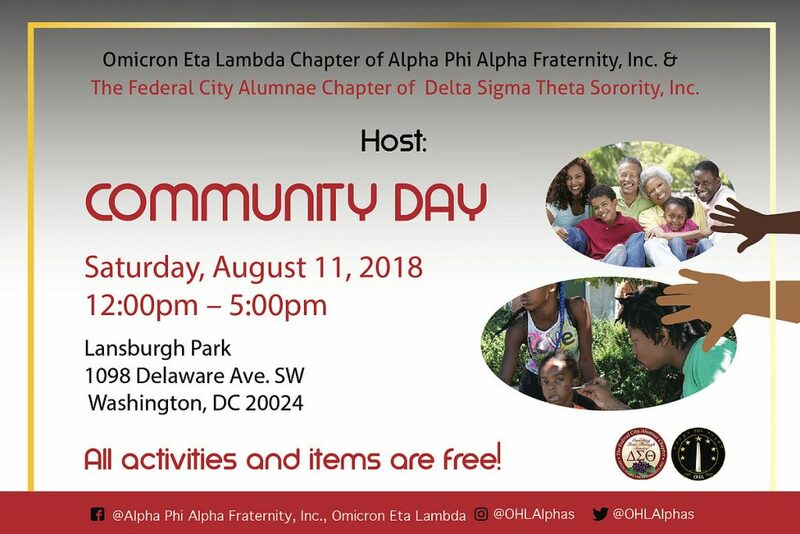 Community Day – Federal City Alumnae Chapter | Delta Sigma Theta Sorority, Inc.
Community Day is an annual event that provides residents of Washington, D.C. with access to information, goods and services that address a number of socio-economic and health related issues. Held each summer with a back-to-school focus, Community Day offerings include free school supplies, health/wellness screenings, nutritious foods, physical activity demonstrations, and kid-friendly entertainment. In 2017, the FCAC distributed 300 backpacks filled with school supplies. Additionally, personal care items such as toiletries, bras, and socks were provided to community members. Community Day attendees enjoyed a picnic-style lunch; received fresh, healthy fruits and vegetables; were entertained by a live band; and learned fun line dances.